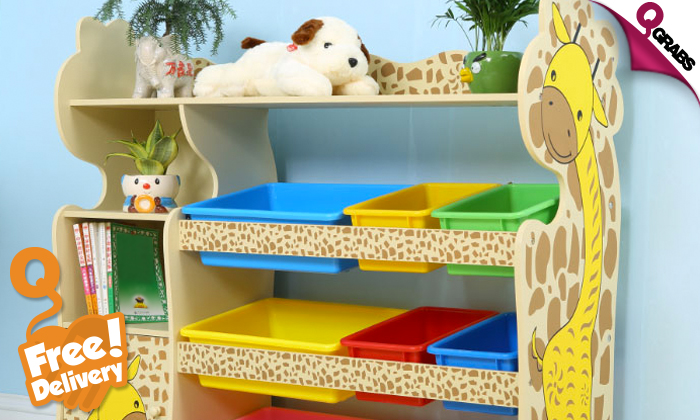 DIY Giraffe Shaped Storage Shelf for Kids! This DIY handy storage organizer and shelf is what every household with kids needs. Help your kids make their own storage space with the help some very easy to use tools. 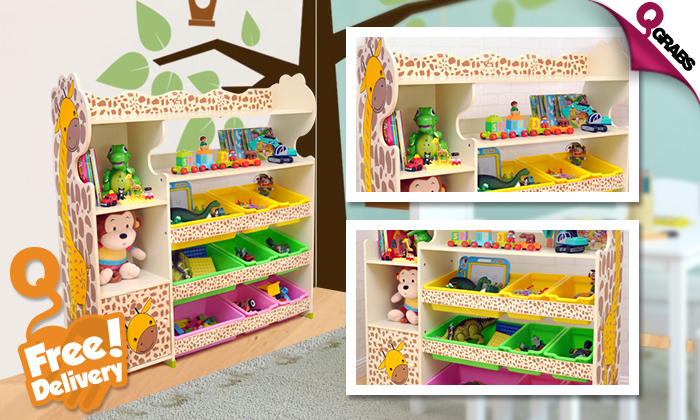 Each giraffe themed organizer comes with 2 side support, a wooden shelf & removable plastic containers. Each organizer comes with 3 big and 6 small storage bins (random color). With 37% off, Make Way for MARTY the giraffe!